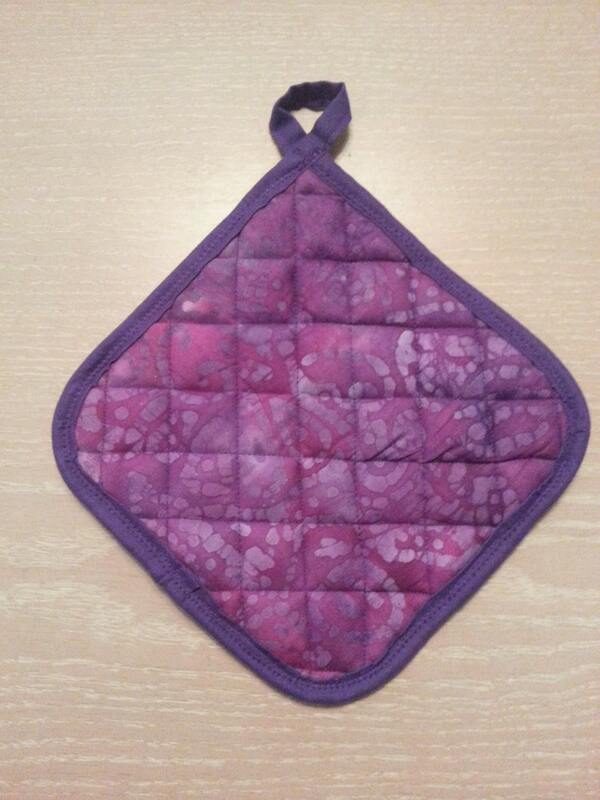 This durable potholder is made of various fabrics and Insul-Bright (Heat Protecting Insulation ) Each may differ a little in size and print cutting. A little thinning than I thought but still PERFECT! I use it as a sponge holder by my kitchen sink. It works great and is fun to look at. It makes me smile!